The IRS has summoned workers back as the filing season draws close, but it seems as if many are unwilling (and/or unable) to report for work after already missing two paychecks. Your biggest problem this week may be the sinking realization that the lovely tax return you look forward to each year may not be as readily available as it has been in the past as the government shutdown drags on. But for the thousands of IRS workers who were summoned back to do their jobs, without pay, even after already forgoing two paychecks, things are much worse. According to Politico, of the 26,000 staffers of the IRS called back to work for the tax filing season, only around 12,000 showed up for work on Tuesday, a Democratic aide revealed. Some 5,000 of the workers in the Wage and Investment Division claimed hardship exemption – with many unable to afford transport to work or childcare – while another 9,000 just could not be reached by the agency (but who blames them?). The lack of staff is obvious, with the agency only answering about a third of its calls, with the wait time between calls being anywhere between 25 and 40 minutes. 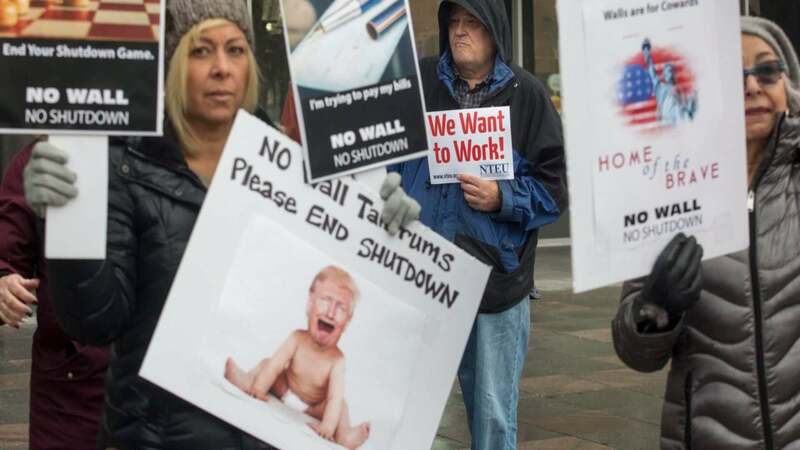 According to the Washington Post, on top of it all, the IRS has been losing some 25 IT staffers every week since the shutdown began, with many of those staffers just finding other jobs.